The Oklahoma Council of Public Affairs (OCPA), a free-market think tank, issued a statement today on possible changes to Oklahoma’s gross production tax rate on oil and natural gas drilling. “OCPA supports free markets and low tax rates on work and productivity, so that individuals and employers are empowered with opportunity and Oklahoma has an economic advantage over other states. 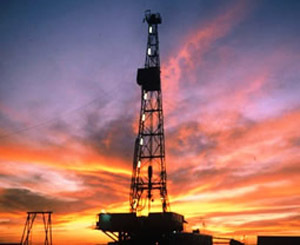 It is critical that lawmakers adopt as low a tax rate on all forms of drilling as possible this legislative session,” said OCPA President Michael Carnuccio. 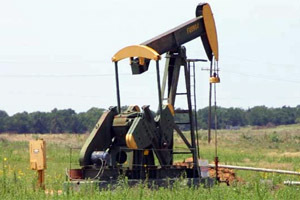 Jonathan Small, OCPA’s vice president for policy, said, “For two decades, Oklahoma has had an appropriately low effective tax rate of one percent on horizontal and other risky and capital-intensive wells. This reflects policy in the sales and income tax codes, recognizing that manufacturing and production should not be burdened with taxes until costs are recovered. Oklahoma policymakers are considering two contrasting proposals. The first would raise the current gross production tax rate of one percent on horizontal and deep wells to two percent, while also lowering the rate of seven percent on conventional wells to two percent. As a result, all new wells would be taxed at the same, low rate. This structure would become permanent, removing all sunsets and providing tax certainty for energy drillers. It would also lock in the two percent tax rate for the first 36 months of a well’s production, or until initial investment is recouped, whichever comes first. 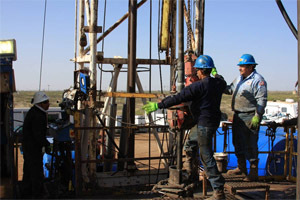 The second, default statutory, proposal would let the current one percent tax rate on horizontal and deep wells expire on June 30, 2015, when the current gross production tax structure is scheduled to sunset, and from then on, tax all new wells at a rate of as much as seven percent. This would represent a major rate increase for the majority of new wells drilled in Oklahoma. The stated goal of advocates of the proposal is to increase tax collections and grow state government spending on a myriad of programs, though OCPA research has conclusively shown Oklahoma’s government spending and tax collections are already at all-time highs. For more information, read “Making the best of a bad situation” on OCPA’s website.